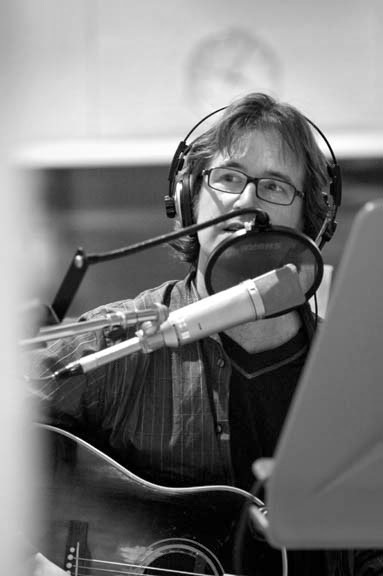 Dan Wilson is a Grammy Award winning singer, songwriter, producer and multi-instrumentalist. 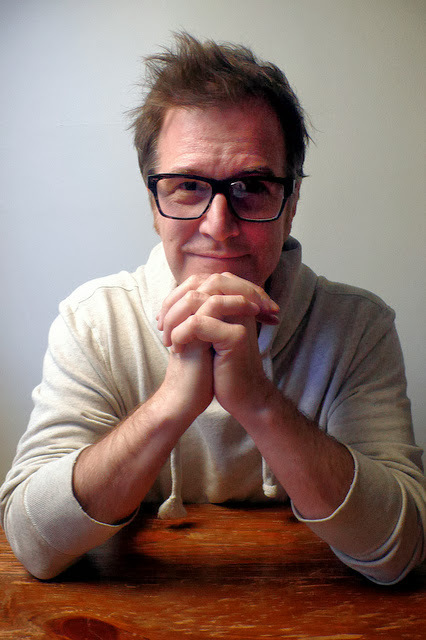 Best known as the lead singer of Semisonic, he is the man behind such classics as 'Closing Time', 'Secret Smile' and 'Chemistry'. Cast an eye over Dans collaborators and it becomes clear that he is a highly sought after songwriting partner and producer; Pink, Carole King, Taylor Swift, John Legend, Dixie Chicks and Josh Groban are amongst those on the list. Dan also contributed three tracks to Adele's worldwide smash album '21', including the hit 'Someone Like You' and won a Grammy for album of the year. Dan is releasing his third solo album in the spring of 2014. The first track from this album 'Disappearing' will be released on 7th November 2013. Here Dan shares his songwriting tips. Do you have a daily songwriting routine or do you wait for inspiration to strike? I have a daily creative routine AND I wait for inspiration to strike. My philosophy came from an art teacher of mine, Tina Stack, who said, "You have to be in your studio, working, as much as possible, so you're there when the muse comes to visit. If you're out at the bar when the muse visits your studio, you're out of luck." So I have daily times when I try to play the piano, listen to song ideas, draw pictures, do calligraphy. And then I like to rebel against those times by doing other creative things. I like to set a time to do calligraphy, for example, and then write a song during that time. That's fun, and it feels naughty and like a freebie. Do you have any tricks to get the creative juices flowing? I listen to music I love, or play Jobim songs or Duke Ellington songs on the piano. When I'm doing a co-write, I usually end up spending most of the first day just talking with my collaborator, telling stories, having fun, getting a feel for what might sound great coming from their voice. That gets my creative engine warmed up. Then I have an easy time getting into the spirit of play and creativity, because I know what I think would be cool to hear from their voice. Do you find you normally start with a melody or lyrics? Hopefully both melody and lyrics at the same time. At least get several lines of lyrics with the melody. Then I know the melody can support lyrics, and once I've made three or four lines scan well with the rhythm, it gets much easier to plug words into that rhythm. Do you think that melody is the most important aspect of a song? Yes, melody and the title are the most important aspects of a song. Those things and also the lyrics not being terrible, that's important. How long does it take you to write a song? Hopefully a day or two at the most. The best ones come in less than an hour. What songs that other people have written do you particularly admire? "Yesterday" - The Beatles, "She's Leaving Home" - The Beatles, "Norwegian Wood" - The Beatles, "Day After Day" - Badfinger, "Fast Car"- Tracy Chapman, "Grown Men Don't Cry" - Tim McGraw, "Sophisticated Lady" - Ellington, "Meditation" and "One Note Samba" by Jobim, "Where Do the Children Play" - Cat Stevens, "Crazy" - Gnarls Barkley, "Set Fire to the Rain" - Adele, oh man the list is going to get long. Do you think that a technical knowledge of theory is important or does it get in the way? Technical knowledge is great if you want to be able to communicate musically with other people. You need to master a couple of different languages, either the Nashville number system, or folk guitar chord names, or jazz fakebook notation, or classical treble/bass clef notation - just to be able to explain things to your fellow musicians. If you never plan to collaborate, then you don't need any of these musical languages. Do you tend to revisit your songs and rewrite them? I revisit a song and re-write it every two years or so, maybe even less often. It usually doesn't end well when I try that. I'm slow to finish songs sometimes, but I'm really good at finishing something and being done and never looking back. Do you write songs with a view to being commercial and following current trends? No. If I really enjoy some trendy thing, it'll maybe seep into my work by osmosis. But I try not to care about trends. They go by very fast, you can't chase them, you can only really start them or ignore them. Have you done much co-writing, and if so what do you see as the benefits? I've co-written several hundred songs, I think, and my biggest hits have been co-writes. So of course I think it's a good idea. Who do you view as great songwriters. Who has inspired you musically/ lyrically? McCartney. Lennon. Elvis Costello. Tracy Chapman. Joni Mitchell. Carole King. Dylan. Led Zeppelin. Gordon Lightfoot. Cat Stevens. James Taylor. Ray Lamontagne. Ellington. Antonio Carlos Jobim. Do you feel that when there's conflict/struggle in your life that it inspires better songs? Yes. Pain makes for good songs. But chaos is bad for my writing. Even if I'm in pain, I can write as long as there's peace around me. If life is in turmoil, I usually have to wait until things calm down before I can write about it. Do you have any idea where you ideas come from? No! I just open my mind and ideas drop into it. Do you have any advice you'd like to share with budding songwriters out there? Write lots of songs. Lots. Finish everything you start, as soon as you can. Teach your brain the habit of finishing stuff. Then when you get a great idea, your brain will naturally finish it wihtout fussing over it. Don't hold onto ideas, don't save them - spend them. Years ago I was listening to a Bruce Springsteen concert bootleg and was amazed that lots of the songs on the bootleg had bits and pieces that he later used in other songs. He finished songs, tried them out live, then later would cannibalize the best bits for his newer songs. That's a great way to go. Click on the following to find Dan Wilson on the web.